If you’ve ever gone shopping for bed sheets or apparel, you’ve probably come across the term “thread count”. So… what exactly does it mean? Some bed sheet and clothing manufacturers boast products with thread counts of up to 1000. This must mean that these are the softest, most luxurious and breathable products on the market, right? Not necessarily, there are other factors to take into consideration. Let’s look at the basic construction of fabric. If you look closely at a piece of fabric, you can see that it’s made up of individual interwoven threads (which are themselves made up of fibers). 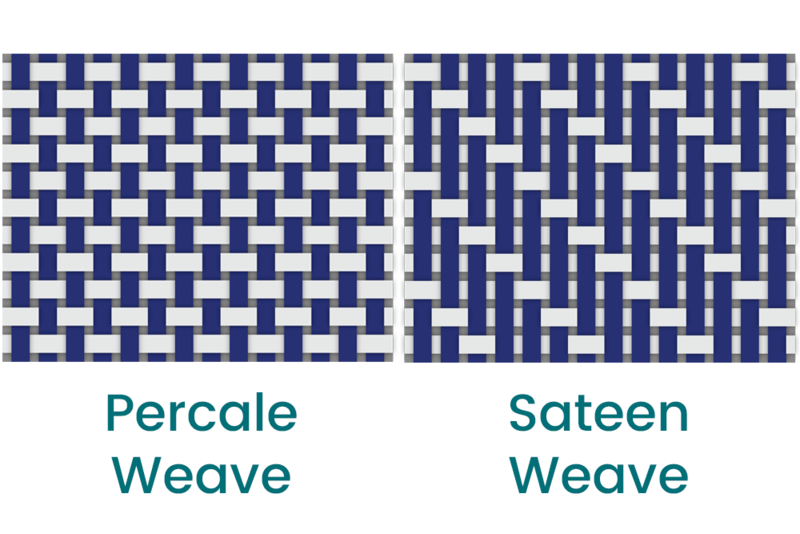 The vertical threads are referred to as the warp, and the horizontal threads are the weft. Thread count essentially refers to how many threads, both warp and weft, make up 1 square inch of fabric. Many people assume that a higher thread count means that the threads are finer, and thus the fabric is soft, luxurious, and breathable. Perfect for cozy bed sheets. This is not necessarily the case. As a matter of fact, when you come across a thread count of over 500, it is very likely less luxurious than a thread count of 300. This is because there are ways to artificially inflate the “thread count” of fabric. Let’s quickly go back to fabric construction. Remember those “individual” threads that are interwoven to make up fabric? They aren’t always individual. “Ply” is the term used to describe the number of threads wrapped into a single thread. 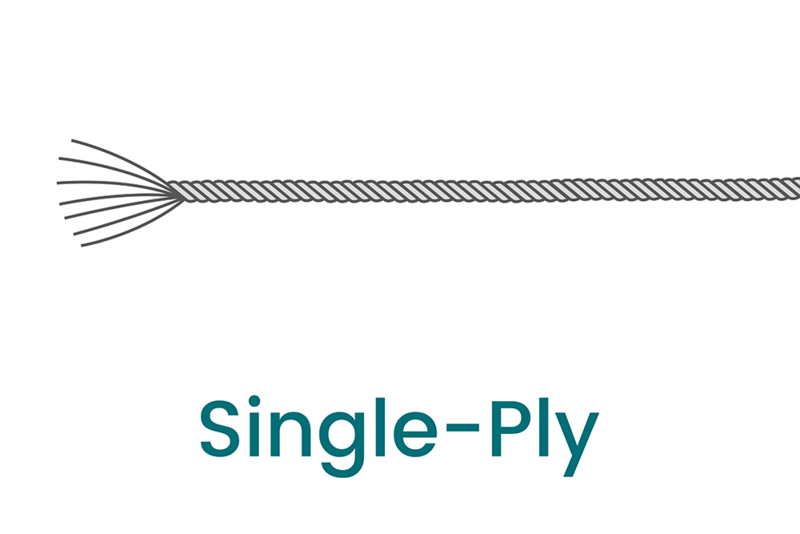 If they truly are individual threads, they are referred to as single-ply. Sometimes a “single” thread is actually multiple threads wrapped together. 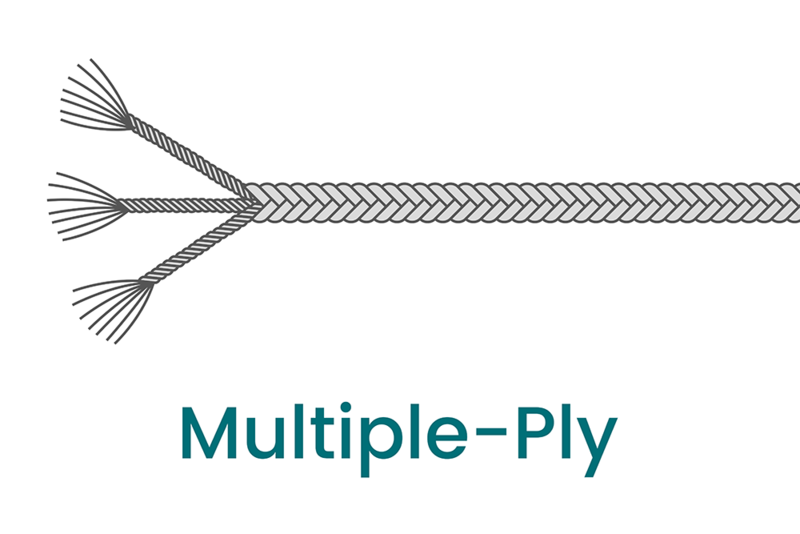 This is known as multiple-ply, in which case there are 2 or 3 threads of sometimes lesser quality wrapped together to construct one thick thread. This affects how thread count is calculated. Some manufacturers will multiply the thread count if it is multiple-ply. Let’s say for example there are single-ply bed sheets with a thread count of 300. Across the aisle there are 2-ply bed sheets with a thread count of 600. Which set of bed sheets are of higher quality? The single ply with 300 threads per square inch. These threads will be lighter and softer than the thick multiple-ply threads. This doesn’t mean that multiple-ply is always bad. The above example is for bed sheets, where lightness and breathability is usually paramount. For that, single-ply is ideal. Multiple-ply is thicker, and for something like heavier sheets or knit-wear clothing, multiple-ply works well. Just keep in mind that a high thread count multiple-ply product does not mean better quality than a lower thread count single-ply product. When considering the quality, softness, and fineness of fabric, there are yet more factors to take into consideration. Individual threads, no matter the ply, are made up of fibers. These fibers can be of differing quality based on their length, thickness (called “denier”), and country of origin. Longer and thicker fibers make for stronger, more durable threads. Historically speaking, the highest quality cotton fibers come from Egypt because of climate conditions. Italy and France are also known for high quality fibers. 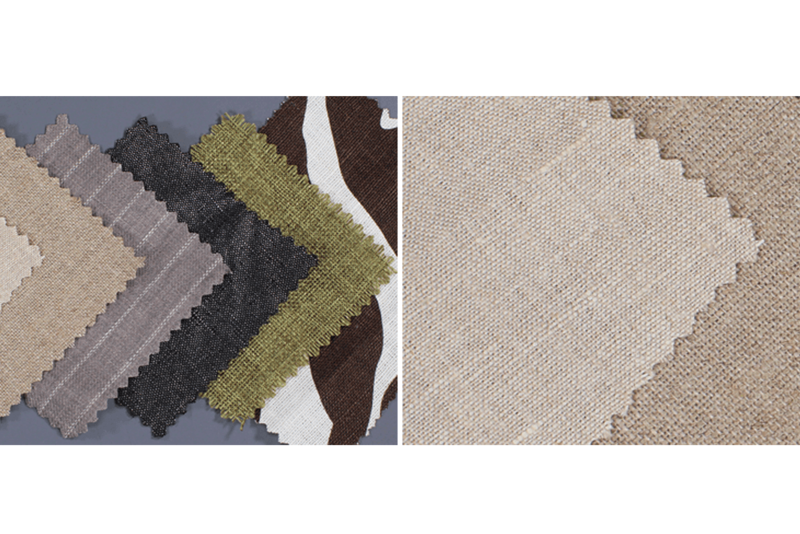 The way in which fabric is woven can also affect the quality. Percale sheets are a standard under and over weave and are light and breathable. 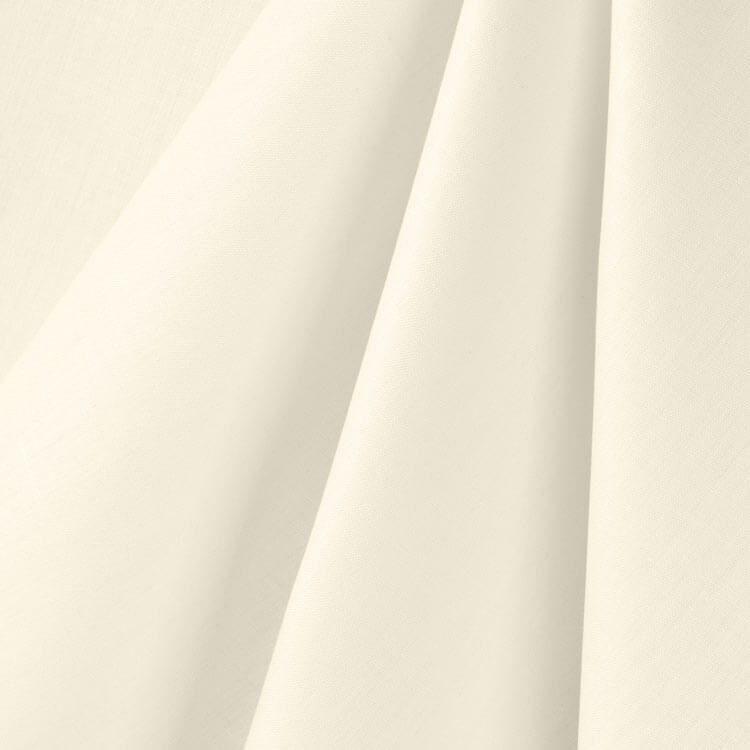 Sateen sheets are a different weave in which the weft threads go under one warp thread, then over multiple threads. These sheets are typically thicker and softer. What does it all mean? This can be a lot to take in, thread count is a relative and somewhat confusing term. As a matter of fact, the National Trade Commission tried to intervene in the past because of companies misrepresenting their product quality with liberal use of the term “thread count”. If you’re shopping for a nice set of bed sheets and are more confused now than you were before, here’s a rule of thumb: pick a set of single-ply sheets with a thread count between 200 and 400. Anything more and you’ll likely be paying more for equal or lesser quality. Don’t make your decision solely on thread count because there’s always more than meets the eye. Check out our selection of sheeting fabric. Where is the cotton sourced? How is a design woven into a fabric for it to take its form and shape, for example a cartoon characters or sports / company emblem?